I can hardly believe that February has rolled around and it is time once again to find room for several hundred seedlings, four foot grow lights and filing boxes full of seeds and reminder cards. Since I started growing a good deal of my plants from seed several years ago, it is hard to do otherwise – especially when the budget is tight and I am aware of the relative bang I can get for my gardening buck. I look forward to this time of year with mixed feelings. 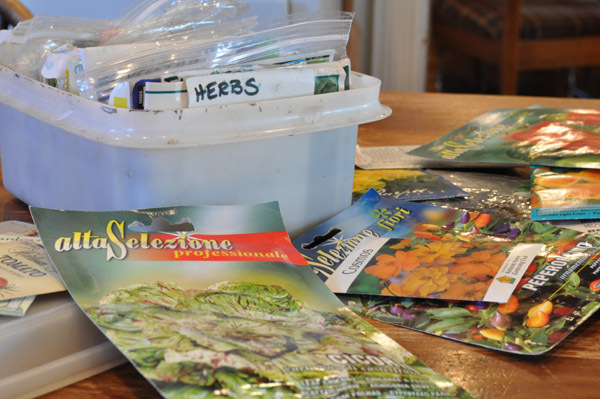 Part of me is anxious to go through seed packets, plunge my hands into potting mix, watch anxiously for germination, breathe deeply of the scent of growing things, and have the satisfaction of home reared plants in the garden in April. Another part of me desperately wishes for a greenhouse, rather than a kitchen, in which to grow them. It certainly is possible to raise healthy, beautiful seedlings within the confines of four plastered walls – it’s just not terribly pretty, nor is it without its inconvenience. With space at a premium in my home, and given the normal irritations that winter seems to enlarge and exacerbate; it takes a fair amount of motivation to start a seed-sowing project that promises dust, chaos and space juggling for at least the next eight weeks. Yet it is worth it. Being able to pick the exact variety of vegetable or flower one intends to grow and to get the plant in the garden at just the right time, renders a few weeks’ inconvenience small in comparison. Furthermore, the reward is not solely at the end. While the early March winds are trying to blow down my elderly house and all is bare arctic tundra out in the garden, I can run my hands over infant basil and tomato plants and be hit squarely with the intoxicating scent of summer days and Salad al Caprese. Yes it’s definitely worth it. 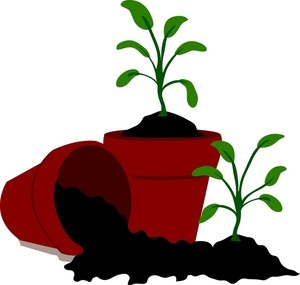 However, if you are completely new to seed starting, start small for heaven’s sake. Remember each of the plugs in a seventy-two plug seedling flat will need to be transplanted to larger pots within a few weeks of starting them – and sometimes, they will need another temporary home before they brave cold soil and cabbage loopers. This exponentially increases the amount of space you will eventually need on top of that washing machine or workbench. It is far better to start with a smaller amount of plants and grow a few varieties to supplement those which you either buy or direct seed, than to find yourself drowning in a massive horticultural ‘to do’ list by mid-March. There have been years when, due to a poorly-timed vacation, or a distinct lack of motivation I have been forced to rely upon the kindness of my local farm shop or big box retailer. It’s not a crime. I feel fortunate that I do have these resources to pick up the green slack when I’m not functioning on all cylinders. Whether you start seventy two seedlings or seven, I cannot stress enough how important light is in the propagation equation. I do not care what the cutsie gardening books or herb kit marketing geniuses say; a sunny window is absolutely not enough when trying to grow sturdy, healthy plants. Yes, you may get germination. Yes, it may be green. Yes, you may be able to bury that three inch, sun-searching lanky stem up to its wishy-washy cotyledons and pretend all’s well that ends well. However, once you’ve seen the result of using a small florescent shop light fitted with a grow-bulb positioned a few inches above your seedlings, you will never go back to south facing windows and gangly seedlings again. I promise. So grab a few peat pellets, some seed and a shop light and come join me for a few weeks of chaotic kitchen madness. Before you or I know it, spring will have arrived, plants will find their permanent homes in outside beds and propagation purgatory will be just a happy memory in the great scheme of the garden year. Yea for starting seeds! Thanks for the encouragement to clean out those trays. It’s the kickoff to the new year. Not only is light an important part of the equation, but heat as well makes a big difference. We used to have a heated basement courtesy of the oil furnace. Now with our heat pump doing the upstairs heating the basement needs the extra addition of an electrically-heated grow mat for a rapid start to the growing season. I also need to make one caution about the use of a grow mat though. If you are not careful it is possible to rapidly dry out the seedling pots. I now use a plastic cover to retain the moisture (like a mini-greenhouse) while using bottom heat and then switch the heat off after the plants get started. I’ve been tossing around this idea in my my mind for some time John – just throwing the whole thing down in the basement with a couple heating mats and the lights. Terrified it will be out of sight out of mind, because when I say “basement” – I mean “cellar”. Still, this year may be the year. I just discovered your blog, and I love it. Your writing is wonderful, and I do hope you are looking into bringing out a book of these essays. 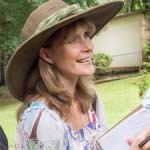 I have a monthly “Garden Blogs of the Month” feature on my blog, Jean’s Garden (http://jeansgarden.wordpress.com), where I highlight newly discovered garden blogs and recommend them to my readers. Your blog is one of two I am highlighting for the month of February. A post reviewing your blog went up this morning, and your blog will be featured on my sidebar throughout the month. BTW, although I do most of my gardening in Maine, I live part-time and have a small garden just over the line from Emmitsburg in Gettysburg, PA.
Jean – Thank you for your lovely words and review. Maine huh? What a beautiful part of the world, but puts my own griping about my zone (6b) into perspective! In fact, I was just complaining about frozen soil to a gardening friend of mine on an Orchid Tour today and felt very put out that his DC garden was Zone 7, and allowed him to tackle a few hardscaping jobs before March frees me. Once i had a plant nursery…True! With a potting shed and two polytunnels and most important of all, the engine house of the whole nursery – a mist porpagation unit! It was divine. Now I have to revert to a tiny greenhouse and windowsills the same as everyone else….Where am I going with this? Do I miss it – indeed I do! But it makes me much more selective about what I sow and when. The thrill of seedlings emerging howeverbk3m is universal whatever the method! – Although I wouldn’t mind a fully mechanical flat filler and that mist propagation unit you were talking about. And, come to think about it, landscaping materials at cost. Oh, you are sooo making me miss seed starting. It is such fun and so rewarding. Unfortunately I am out of the country at this time of year, but I can always dream. Dreaming is definitely allowed Deborah – my seedlings always turn out better in dreams anyway! A timely reminder that seedlings grow and need larger pots that need more space and suddenly every possible area is covered in pots. This year is the first I have had a greenhouse to help with all this, and I am already worried about space. You have provoked me to think about grow lights again. Glad to have found your blog through Jean’s post.